Homemade Bath Salts: Relax and Detox for the Holidays! 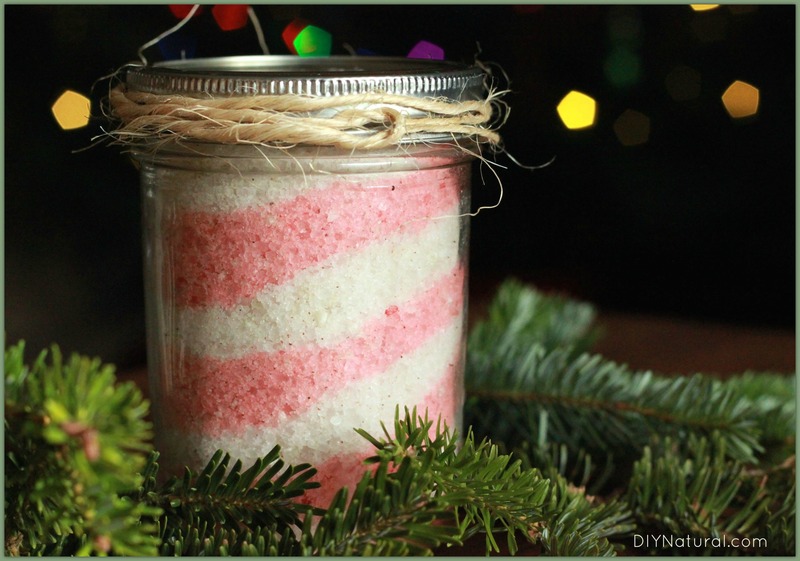 Home DIY Natural Blog Beauty Homemade Holiday Bath Salts: Relax and Detoxify! 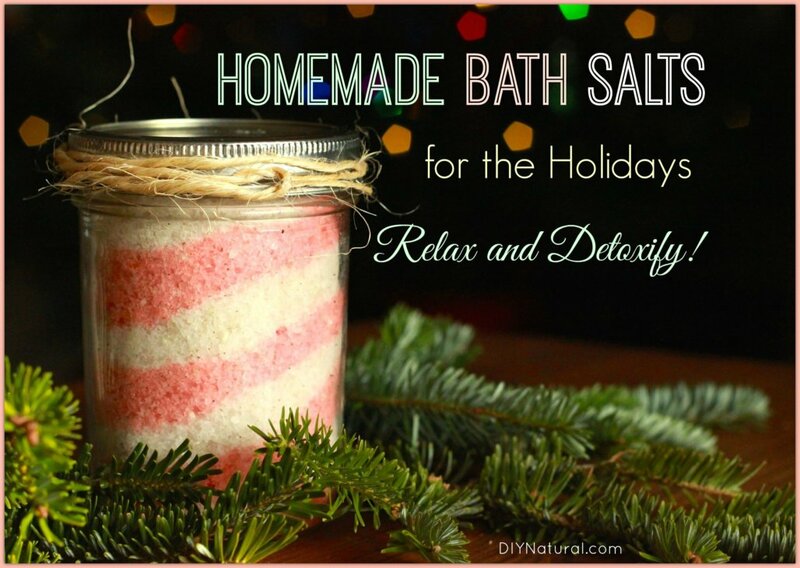 Homemade Holiday Bath Salts: Relax and Detoxify! Homemade bath salts with a seasonal flair! If the holidays have you stressed, eating poorly, and constantly feeling like you’re fighting off illness, it’s time to relax and detoxify. One of the easiest detox methods is to soak in a bath full of effective detoxifying ingredients. Detoxifying homemade bath salts can be mixed up very quickly and easily. If you want a fun and easy recipe to use yourself or to give as holiday gifts, I’ve put a festive spin on my recipe. I always make a bunch and give them away to all my friends. It also makes a great project for kids! Soaking in water, enriched with certain natural salts, is known to have a therapeutic effect, benefitting the body both inside and out. Different salts have been reported to treat skin conditions, help neuromuscular conditions, ease pain and relieve inflammation, improve heart health and circulation, relieve stress, flush toxins from the body, and much more. Salt mixture – Because they each contribute something different to the mix, I use a combination of natural mineral salts to get the most benefits out of my soak. Among these are Dead Sea salts, Himalayan pink salt, Celtic gray salt, Epsom salt, rock salt, Hawaiian black salt, and baking soda. They could be used separately, but together, they add minerals to your system while pulling unwanted toxins out. Use any or all of these in your salt mixture. Peppermint essential oil – Peppermint EO is stimulating and uplifting, perfect for giving you a little extra energy. Natural red food coloring – For a candy cane stripe effect, I use some natural red food coloring to dye part of the salt mixture. 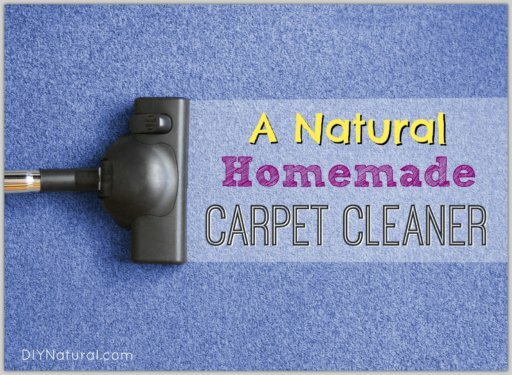 Use only natural food colors as other colors may stain washcloths and tubs. Divide the salt mixture into two bowls. Add 15-20 drops of peppermint essential oil to each bowl and stir. 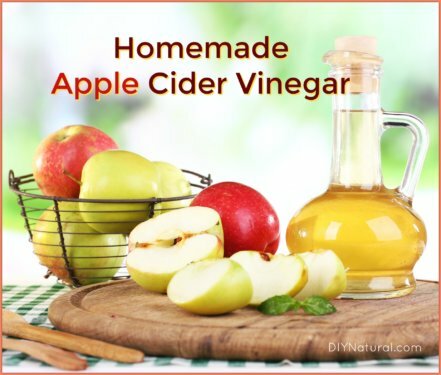 Add about a half a teaspoon of liquid vegetable glycerin to each bowl and stir to coat all of the salts. They should be shiny and not dry looking – add a little more if needed. In one bowl, add a few drops of red food color. Stir to coat. Add more if necessary to get a uniform red color. Leave the other bowl of salt white. Take your jar and nestle it into the sand or rice at an angle. Using the spoons, layer alternating colors of salts into the jar while it is at an angle. When you get to the top, pack it tight so the salt layers won’t shift. Put the lid on and tip upright. Add a label that instructs using a handful of salts for general use or 1-2 cups for detoxification. The angled salts look like a candy cane and the peppermint essential oil will make it smell like one. Decorate the jar any way you wish. I like to tie a square of holiday fabric on the top with some ribbon. You could also use raffia or twine for a more natural look. I’ve also done this with pine needles and pine or fir essential oils. 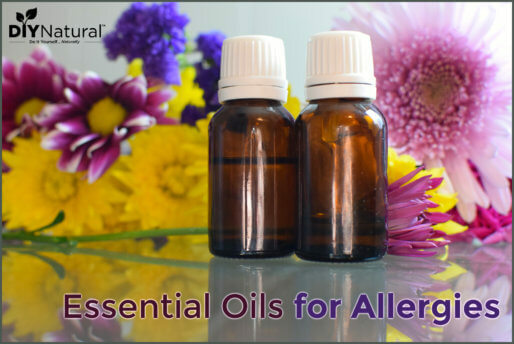 Pine, fir, and peppermint are naturally antibacterial while being detoxifying as well. Also, check out this article on how to make bath salts. Which salt mix to use? The link shows several varieties. I normally use Epsom salts but have tried the others as well. Was wondering how much of each of the salts you put in you mixture. Also, how much baking soda did you use. Thank you. Check the section in this article labeled “Ingredients for a winter detox bath.” It gives ideas for several salts you can use for your salt mixture. No specific measurements are required for the salt mix, just use whatever you have in whatever amounts you like.